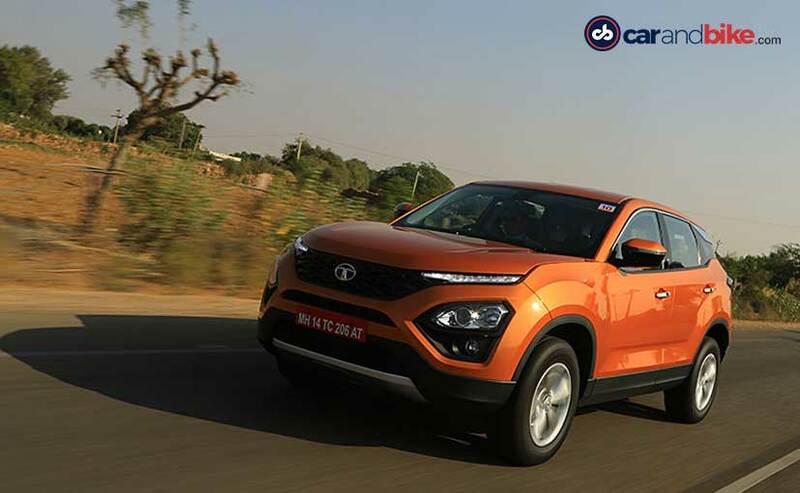 The Tata Harrier has been the talk of the town and ever since the company showcased the H5X concept at the 2018 Auto Expo. The Harrier comes after years of research and development which shows how hard the company has worked to getting things right. It's all part of the company's strategy of bringing the right product at the right time and yes an SUV was something that the company needed because, well, it already had the expertise in it. 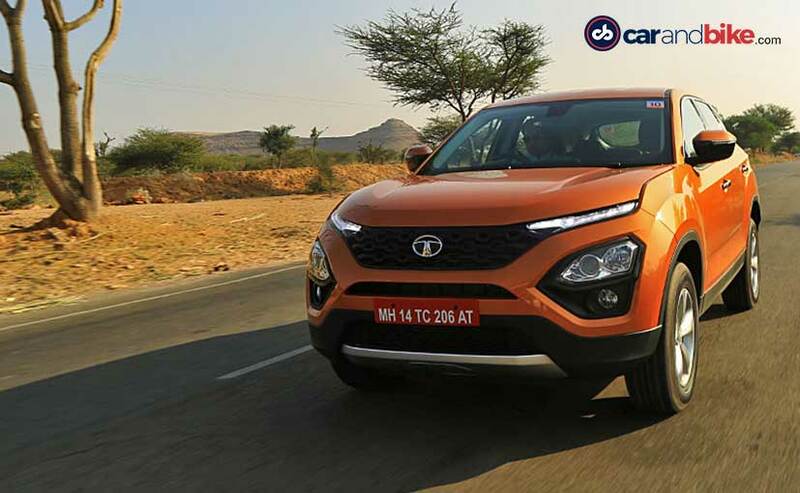 Tata Motors is no stranger to SUVs and the fact that cars like the Sierra, Safari and even the best-selling Nexon have done well in the market, it was high time the company upped the ante with all that experience. 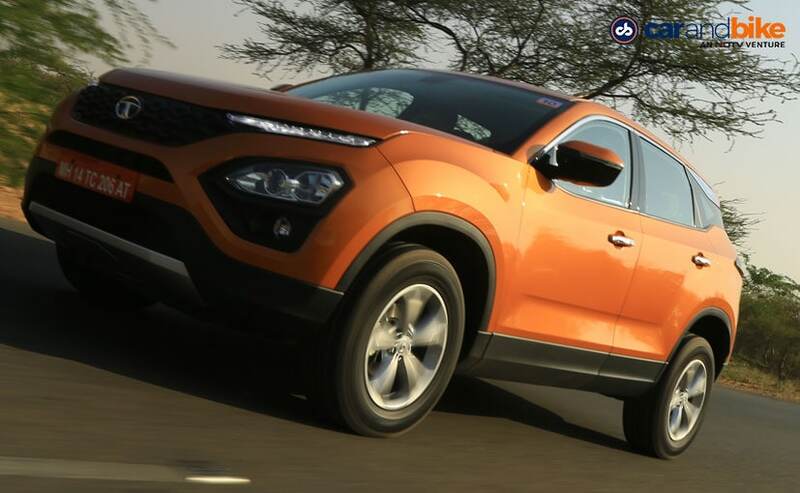 And finally, here it is, the all new Tata Harrier. The Harrier looks almost the same as the concept, with design cues carried over almost intact and that's a big thumbs up for the company. Some of the styling elements of course have been toned down but the form and style now makes it even more attractive. What is impressive on the Harrier is the high-mounted grille and the strips of LED lighting positioned at the base of the bonnet. 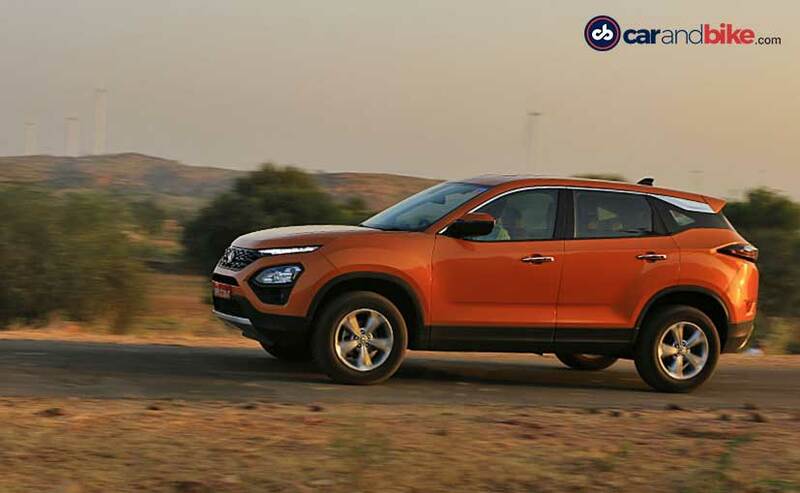 This styling is true to the emerging global trend where we see slimmer lights up top and the Harrier follows it to the 'T'. Mind you, the DRLs are standard but the LED bulbs are only available on the top-end model. Tata has moved the main headlights below these LED elements which is a rather interesting design touch. These headlamps are Xenon HID projector lamps but even the base variant gets projector headlamps which is impressive. One of the big highlights though is the prominent, three-dimensional 'humanity line' front grille which shows us the company's newest approach to vehicle design - the' Impact 2.0'. Look closely and you'll see an easter egg on the headlamp - a lion which apparently represents the Harrier's position amongst other SUVs which have been likened to sheep! The DRLs double up as turn indicators and those look pretty cool too. The Harrier is developed on the all new optimal modular efficient global advanced architecture or Omega Arc for short which has been derived from Land Rover's former D8 platform which in turn was based on Ford's EUCD platform. So everything from the former Volvo S60 to the Land Rover Freelander2 - solid products for sure. The cabin is a little low-slung, somewhat sporty and the floating roof effect is a cool touch. This bold chrome finisher really adds to the look too and is not exaggerated. There's also a lot of cladding at the base of the doors, while the exaggerated wheel arches give it a butch look and adds mass to the SUV. Around the rear, there are the slim petal-like tail-lights and these are linked together by a blacked-out element. The tail lights are LEDs and they are standard. 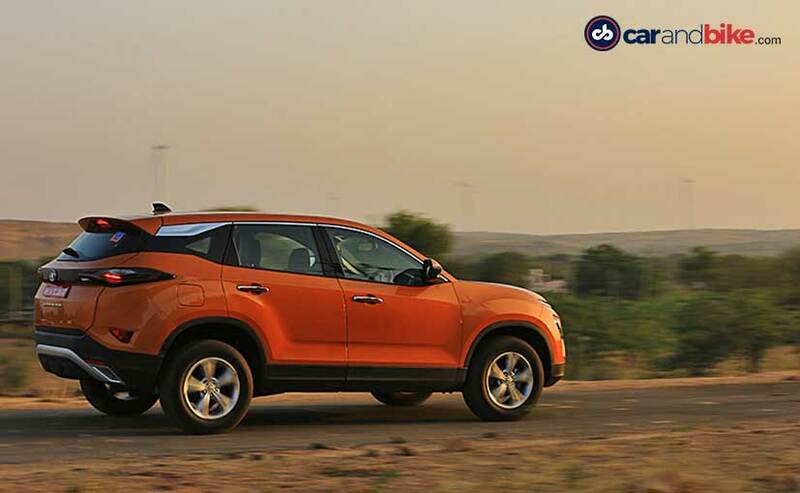 An integrated rear spoiler brings out the sporty side of the SUV and the overall design is absolutely stunning. It's got presence; you have to grant it that. And people on the road give the car a second look, which you kind of start enjoying when some even stop to ask you which car it is! There's a splash of chrome yes, but it's not overdone and the harrier name badge appears just twice on the car with no space for variant badges. It's simple and that's what attracts your attention. This simplicity is carried into the cabin as well. Up front, you have all the controls at your disposal on the steering wheel. The right side is dedicated to change settings on the odometer while the left hand side handles the touchscreen infotainment system. 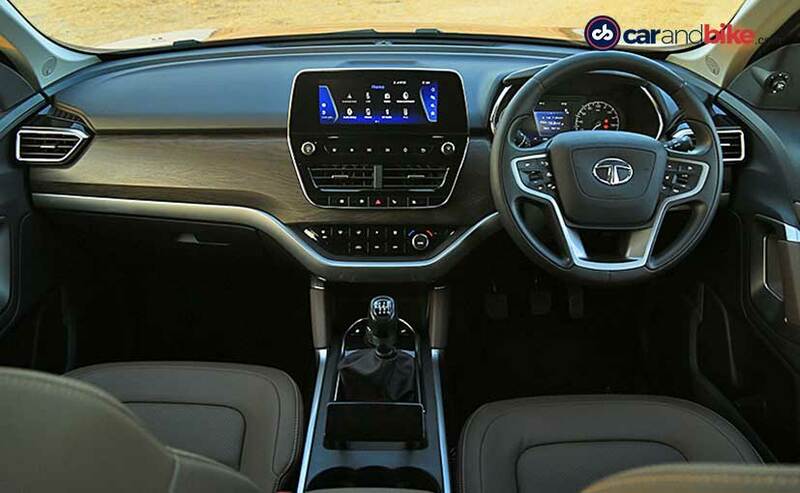 The harrier also gets an 8 way adjustable driver's seat, climate control and even this 8.8-inch infotainment system which floats on the dashboard. Now the lower variants come with a 7 inch system. This one is a touchscreen and very intuitive. Of course there's Android Auto but Apple Carplay will be made available at the time of launch. 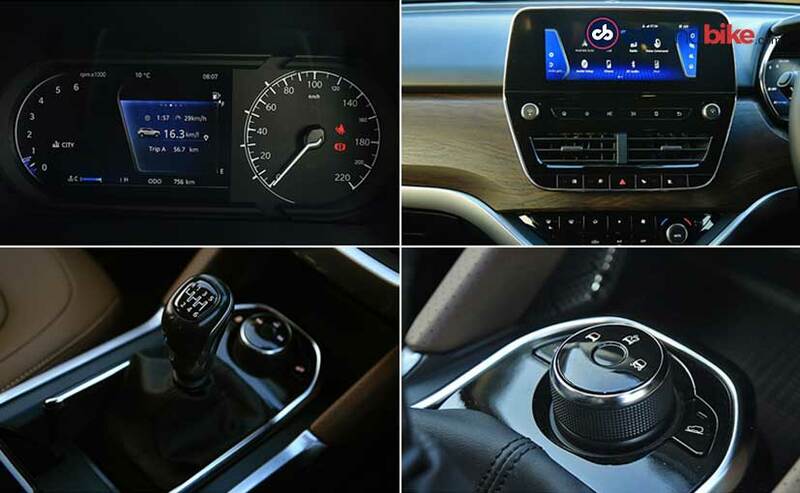 There's climate control as also the various driving modes too but the parking brake is very innovative. It's more like an aeronautical instrument than anything else and does not create any hindrance to any of the other operations. Adding to the features is a cooled glove box as well but there's just 1 USB port in front while the 12 volt charging point is in the cooled glove box. Tata's troubles with on-board electronics continue though... since the infotainment in our car and several other test cars needed to be rebooted a few times to get it to work! For those looking for a sunroof, well there isn't one. But there's good amount of room for the rear seat passengers. Now, we'd already told you that the cabin is a little low slung and that helps in providing good room at the rear. There's good amount of knee room as also leg room for passengers seated here and there's good under thigh support too. There's enough headroom for passengers and for a tall guy like me that matters. There are AC vents back here for the passengers and a USB charging point as well which adds to the convenience. Then there's this central armrest with two cupholders and a bunch of cubby holes on the door. There's one specifically to keep your phone and it comes in very handy. The Harrier has rear parking sensors as standard. 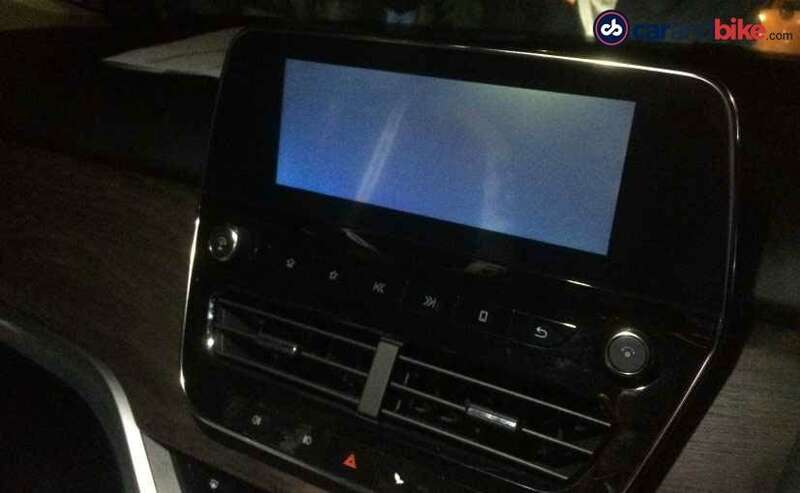 At the top end you also get a rear parking camera which strangely, is not HD and so the output is a bit pixelated. The top-end variant also gets an Oak brown leather seat upholstery while the side view mirrors are equipped with logo projection. The 9 speaker JBL system has incredible acoustics. But the feature list gives in-built navigation a miss. There's ample boot space on offer though. 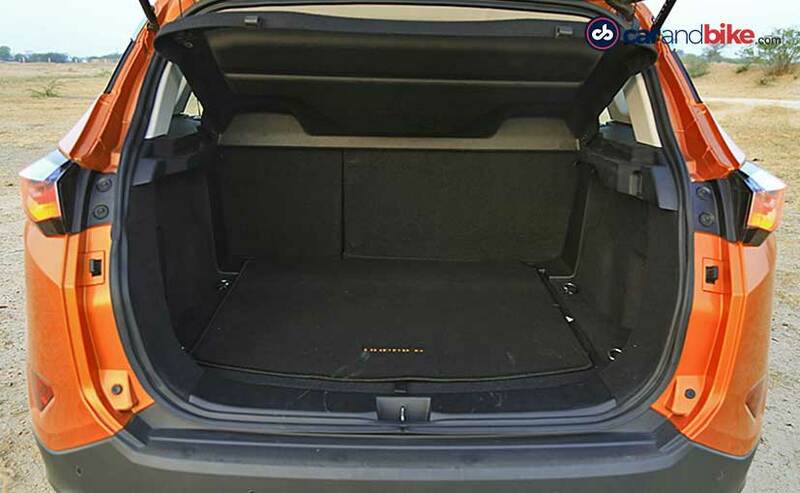 The Harrier offers 425 litres with the rear seats folded up and with them down there's 810 litres, good enough for a couple of baby elephants perhaps?! But if you'd want to transport those elephants, you would require power too. The Harrier's got that in the bag too. 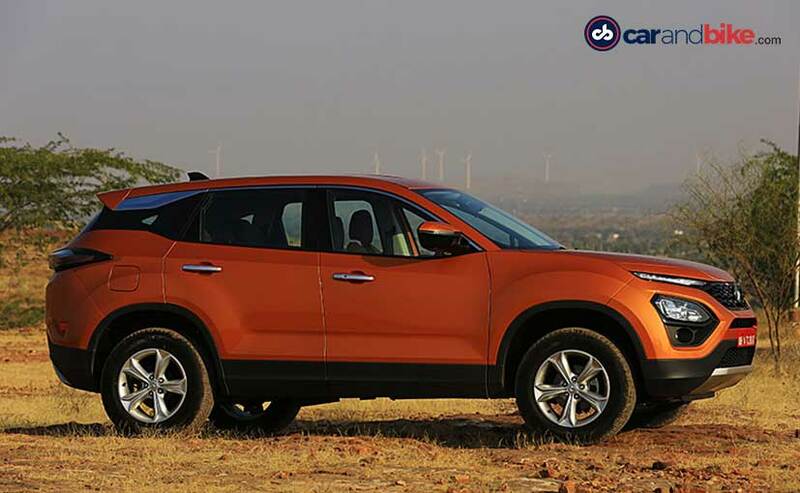 The Harrier is powered by a 2 litre, 4 cylinder diesel engine. There's no petrol on offer. The engine is derived from Fiat's four-cylinder Multijet II diesel unit that powers the Jeep Compass. This one churns out 138 bhp and that's enough to propel a car which weighs in at close to 1700 kilos. The 350 nm of torque kicks into this turbocharged unit at just about 1800 rpm and the low end torque provides a linear power delivery. It has a strong mid-range too. There's only a 6 speed manual on offer and there's no automatic for the time being. The gear shifts with ease but it takes a bit of effort to slot them in place. Movement from 2 to 3rd and back is where you feel a bit of jerk. The clutch is nice and light, but the travel is quite a lot and not great in traffic conditions. The Harrier has City, Eco and Sport drive modes. The default setting is City and though there's a hint of lag, it's not as evident as when it's in Eco mode. You expect it of Eco because well, it helps save you fuel. The Sports mode though, is fun and the engine responds well to your urgent throttle responses. 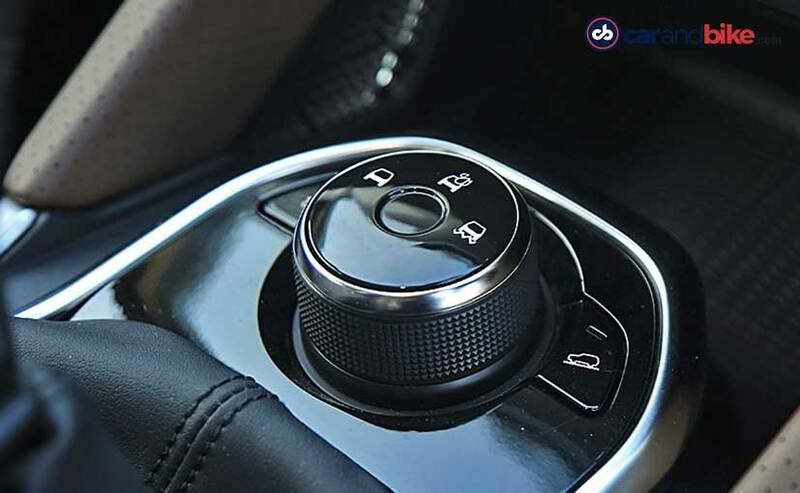 Switching to the multi drive modes though does not have any effect on the gearbox or suspension settings, it's purely throttle response. It also comes with Terrain response modes - Normal, Rough and Wet but we spent most of our time on the tarmac so we'll leave that for another day. 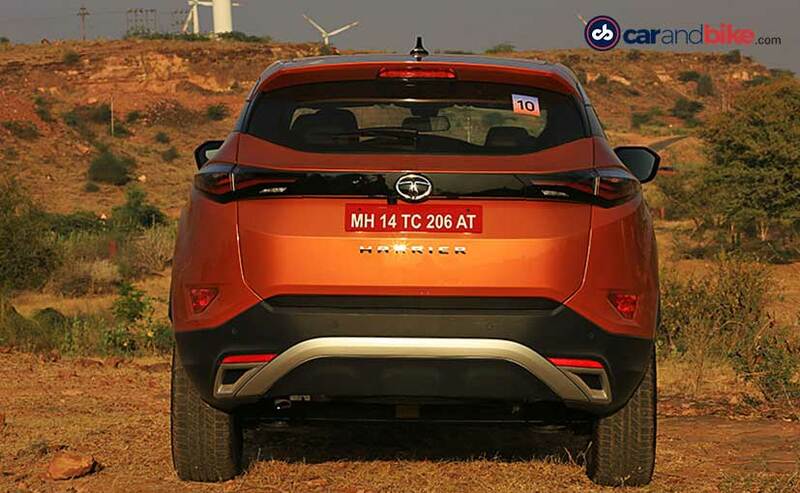 The folks at Tata Motors say that the Harrier has completed over 2.2 million kilometres of testing and the car has been adapted for Indian conditions. And we don't doubt that claim for a minute and that's because of the ride quality it has to offer. It's front suspension has been carried forward from Land Rover while the rear twist blade suspension has been designed by Lotus engineering. The rear is a bit bumpy and added weight in the form of passengers really doesn't make things right. The suspension is stiff and we just hoped for a good balance which would add a bit of comfort for the passengers. The stiff suspension does well on tarmac but on potholes there's a slight kick back which could make the rear passengers a bit uncomfortable. 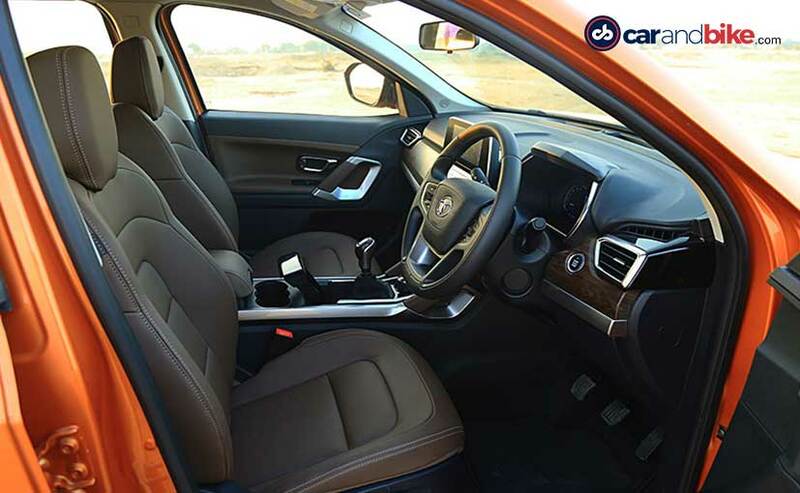 On the safety front, the Harrier comes with dual airbags, ABS with EBD is also standard. The top-end variant gets 6 airbags, ESP, Roll Over mitigation, cornering stability control, traction control, hill descent control and more! All-in-all the Harrier is quite the package and the attention to detail reflects the changing attitudes and systems at Tata. But the lack of an automatic transmission is a huge sore thumb. People may also miss in-built navigation or even the sunroof but we hope for all that on future variants. 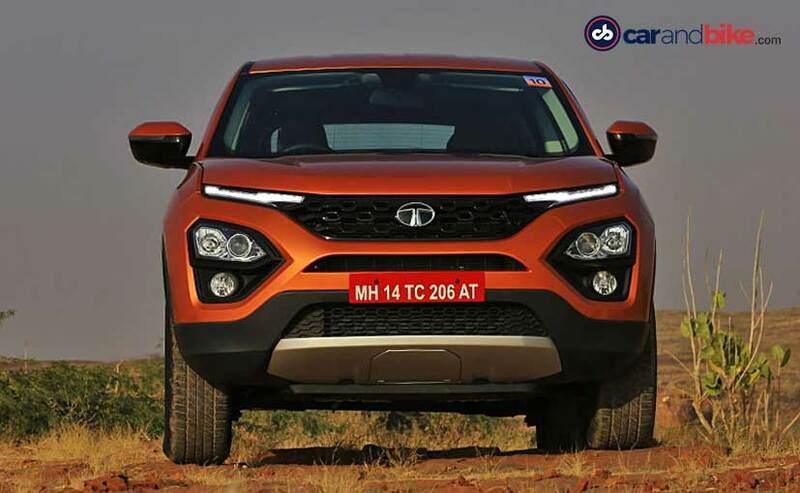 Tata Motors plans to launch the Harrier in January 2019 and we expect it to be priced between ₹ 16 lakh to ₹ 21 lakh which will put it into the territory of the Hyundai Creta at the bottom and the Jeep Compass or even the Mahindra XUV500 at the higher end. The Harrier is great looking is a good package on the whole and we think it should be well priced too; which means - competition beware.